Michael Schlact was named Manager of the Fargo-Moorhead RedHawks on September 7, 2017. Schlact completed his third season as the RedHawks’ pitching coach at the conclusion of the 2017 season. Prior to his coaching career, Schalct pitched professionally for 10 seasons. He was selected in the third round of the 2004 Major League Baseball draft by the Texas Rangers out of Wheeler High School in Marietta, Ga. Schlact was a member of the Rangers’ organization for seven seasons, reaching as high as the Class AA level with the Frisco (Tex.) RoughRiders. 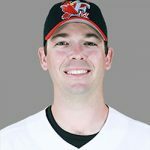 Schlact pitched in the independent ranks for parts of three seasons, spending 2011 and 2012 with the Atlantic League’s Southern Maryland Blue Crabs, and made two appearances with the Amarillo Sox in the American Association in 2014.